Description: Agra, India - 9 November, 2018: Visitors walking along the Agra Fort and enjoying view of the Taj Mahal. 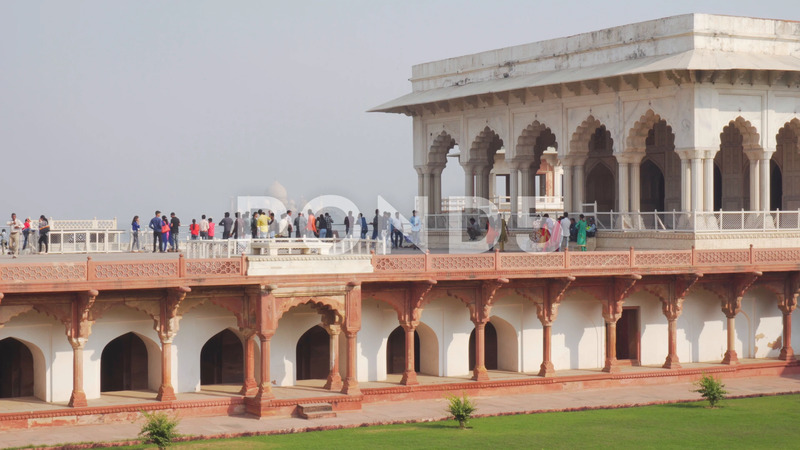 The Diwan-i-Khas (Hall of Private Audiences) is visible at right. Mughal architecture.